And they say they are the tolerant party? Uhm... I don't think so... They are only tolerant as long as you agree with them. A place for archive news concerning evil and/or Loony democrats/liberals/progressives (actually re-gressives). News that Democrats are not allowed to hear via their own left wing media outlets for fear they will understand they have been socially engineered by them and their education from K-12 to college. Some news like these articles show how ridiculous they can be. We now live in a Bizarro World. The Left were so offended when the history channel had an actor similar to Obama portray Death. All over the media they were touting how angry they were that this would happen. "What an insult" they raged! They sang as one voice saying "This shows a lack of respect for the office!". Now, it seems they enjoy the vile graphics of not Trump portraying Death, but experiencing it! Who is showing the lack of respect for the office now? 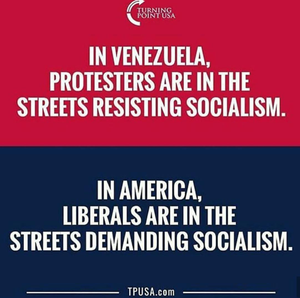 Once again, Democrats, Liberals, Socialists show their true double standards. ​Yes, good. decent Democrats still exist. Alan Dershowitz is one of them. Here he talks about radical lefties taking over the Democrat party and how they are nuts. Avenatti arrested on federal charges in Calif., N.Y.
MORONS torch a statue of General Lee, but it turns out to be the WRONG General Lee! Canadian Patriots are exposing Soros for the evil fraud that he really is! Liberals Are Now Demanding That Sharia’s Most DISGUSTING Practice Be Legalized in U.S.
​Racist note left on dorm door. But when cops question student who reported it, the truth emerges. Antifa SCUMBAGS ATTACKED journalists in Charlottesville and there’s TONS of VIDEO! ​Antifa Thugs Furious After Police Release Their Pics — Let's Make Them Famous! ​Eric Trump Donated To A Children’s Hospital! 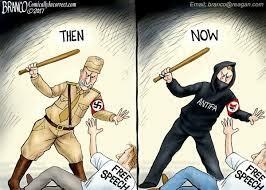 Look What the Left Is Doing in Retaliation! With video. 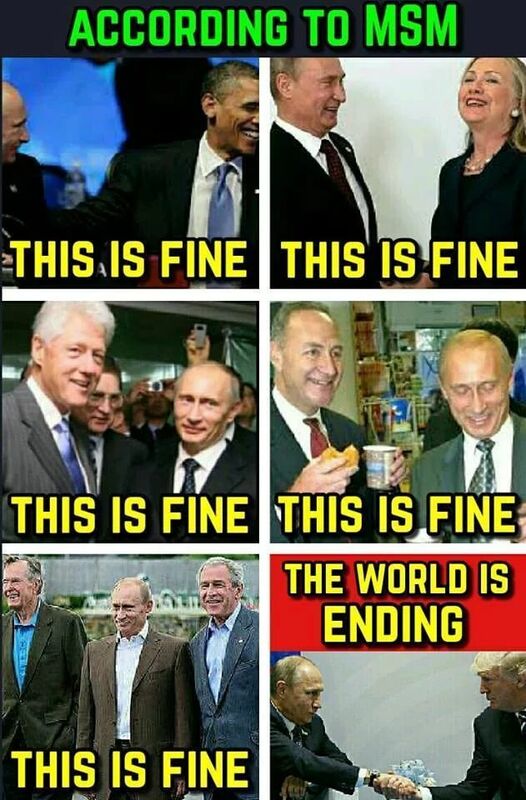 How far left has the Democrat Party gone? This may give us a clue. Joy Reid addresses HOMOPHOBIC posts on her blog – and she’s STILL in denial! City worker allegedly issues a citation for flags; tells vet he "did nothing for our country"
​CNN Thinks That Socialism Is Cool. My Grandparents From The USSR Would Disagree. Washington Post columnist says it’s time to give socialism a try, because why not? Yo, Feminists: Cute Golfer Gets Death Threats By Islam Over Her Cleavage – What Time’s Your Protest? Farmer's markets are now racist. The left continues its slide into the absurd. ​Al Sharpton Told Blacks To Kill Cops In A Speech, But He Didn’t Know The Camera Was ON!